As the Written Road Rules Test is a theory test, it’s important you know the material and prepare for the test. It’s recommended that you read the latest version of Your Keys to Driving in Queensland as this is material that will be tested. 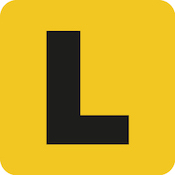 You should then read the QLD Driving Test summary of Your Keys to Driving in Queensland. This summary condenses the 181-page document into 90 pages. Prepared based on the questions you may be asked in the test, the summary concentrates only on assessable material. This allows your revision to be far more targeted and therefore effective. When you’ve familiarised yourself with the assessable material, it’s time to put your knowledge to the (practice) test. The Department of Transport and Main Roads provide a practice test that simulates the real test by randomly pulling 30 questions from their question bank. This is good practice for the real test. You should also revise using the sample question practice tests provided by QLD Driving Tests. These questions cover the topics the Department of Transport and Main Roads deemed important enough to include revision questions for in Your Keys to Driving in Queensland (this means they're important). You can practice these questions by topic or take all of them at once.